Myanmar business travelers will be pleased: Telenor Myanmar just reduced drastically the data roaming rate across 8 countries in Asia including Thailand, Malaysia, China, Singapore, Bangladesh, Pakistan, Indonesia and Taiwan. Since April 3rd, Telenor Myanmar subscribers can enjoy the same rate across these 8 countries as if they use mobile data locally: 8Ks/MB. 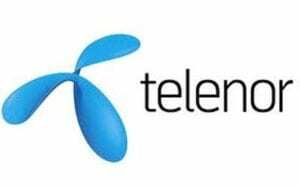 The data roaming tariff is the same as the local pay as go price which is still 3 times more expensive than Telenor data packages: Data Suboo. Saying that, this is still a huge drop considering the previous tariff for roaming in these countries was 500Ks/MB. 60 times more! 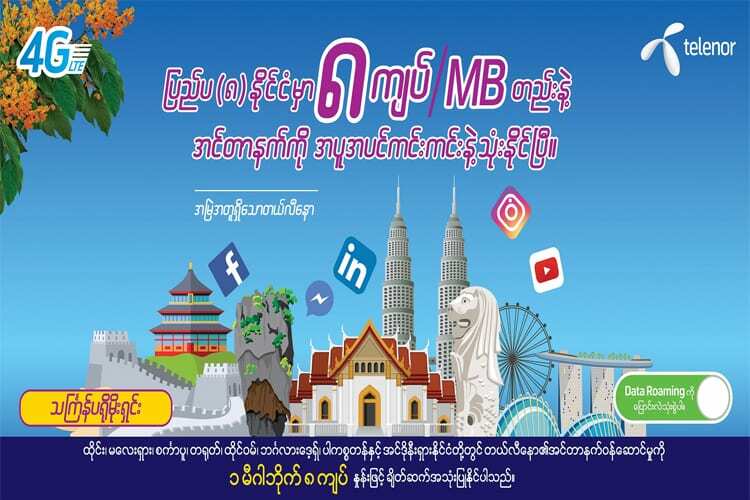 This new offer will definitely entice Myanmar people to use their Telenor SIM when they travel abroad. “The Thingyan Festival is coming closer, and these eight countries are among the most popular international destinations for Myanmar people travelling abroad for the holidays. With our new ASIA 8 offer, our customers can check and update their Facebook and social media pages with memories from the journey without worrying about cost as the price is the same as in Myanmar. Telenor is always committed to offering the best services to our customers, we are excited to introduce many more innovative promotions and services in the future,” said Joslin Myrthong, Chief Marketing Officer of Telenor Myanmar. 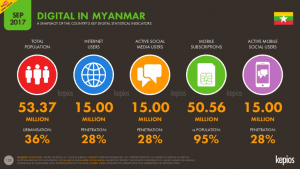 Telenor Myanmar subscribers can use roaming services with 152 partners in 117 countries. Telenor’s 4G roaming service is currently available in China, Thailand, Malaysia, Singapore, Japan, UAE, Canada, Macau, Taiwan and Norway. Subscribers of 193 operators from 124 countries can use their overseas SIMs with Telenor network in Myanmar. On a side note, Telenor Myanmar was recently awarded the fastest mobile Internet in Myanmar by Ookla which run the website speedtest.net. This award is based on more than 200,000 online tests during the second semester of the year 2017. Telenor managed a Speed Score of 13.41 with average speeds of 14.54 Mbps for download and 7.86 Mbps for upload on LTE-capable devices. Telenor succeed to MPT which was awarded fastest mobile network during the two first quarters of the year 2017.